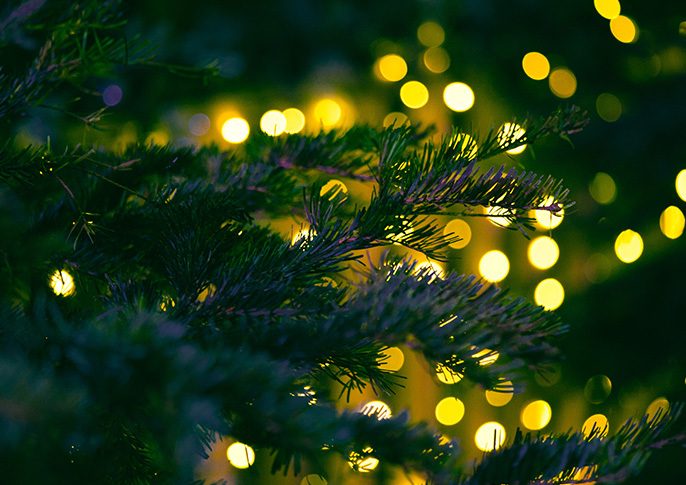 Step into a Winter Wonderland at Avon Valley Adventure & Wildlife Park this Christmas. We love Christmas at Avon Valley Adventure & Wildlife Park and you won’t find a more festive filled day near Bath or Bristol. Meet our costumed characters throughout the day who will entertain the children with games and activities. Take a ride on the Polar Express Train or a festive Tractor ride around the park. There will be a Carol Singing trail around the park and a Nativity Scene in the Animal Barn. The Cinema Room will be showing Christmas Movies throughout the day if you need a little rest from all the festive fun. All regular Avon Valley activities will be running as usual. Be sure to see our animal handling sessions every 30 minutes (peak days, every hour off peak) in our under-cover Animal Barn, fox talks, duck feeding and more. Our huge undercover play barn is always popular and great for cold wet days to tire the kids out who are brimming with excitement at this time of year! 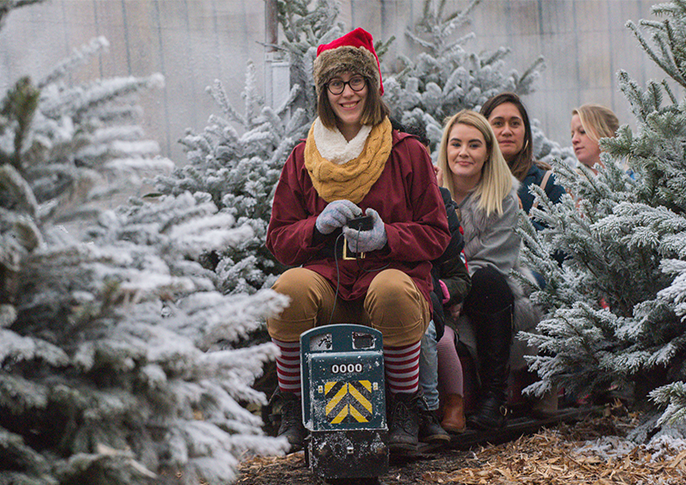 Take a trip on the UK's largest commercial miniature railway through a Winter Wonderland. Take a moment to explain to your children what Christmas is all about! 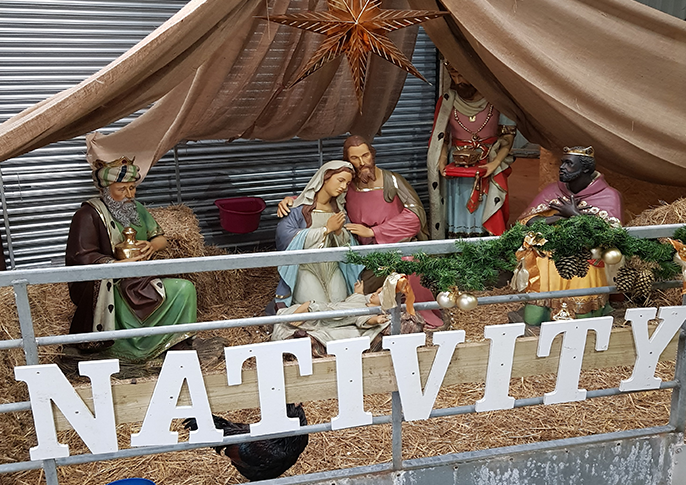 Our Nativity scene in our Animal Barn sees goats, donkeys and more surrounding our nativity characters. 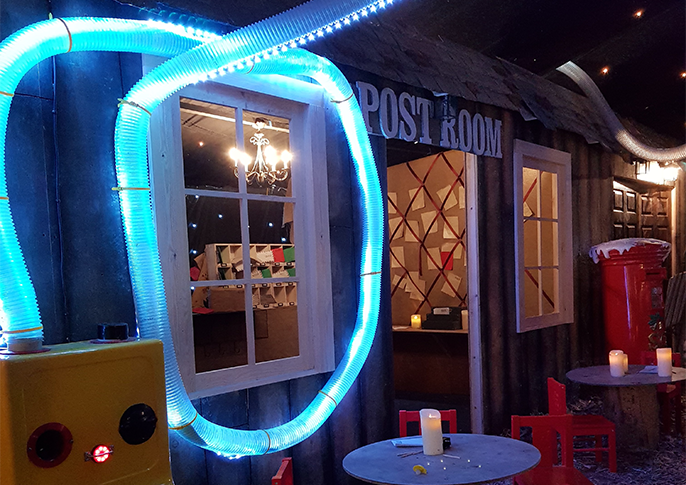 Write and post your Christmas letters here at Avon Valley's branch of the North Pole's Post Room. Delivery guaranteed to Father Christmas before the 25th December! Stretch your legs and vocal chords by navigating this trail around the park. 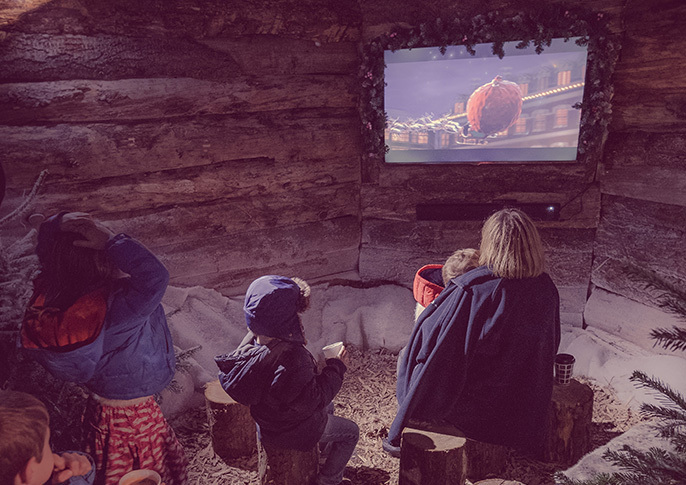 There are multiple areas screening our favourite Christmas movies around the park.